The former Mayor of Dorin Chirtoaca is ready to pass the integrity test proposed by Maia Sandu only if she and Andrei Nastase are willing to do a similar exam. The PL deputy chairman said this in a broadcast from National 4. "I wrote a letter to Mrs. Sandu, she gave me an answer. I asked where to go to the filter? She told me to put a list on the filter party, but I also call them to come in there, see how everyone answers questions, how it was in 2005 with Victoriabank, with raider attack on this bank, how it was the billion theft voted by the Government", said Dorin Chirtoaca. The Liberal argues that the PAS and PPDA leaders have a dubious past about banking theft and raider attack on a bank. "The lady was working at the Ministry of Economy and was subordinate to Dodon or Lupu. His brother was with the Communist regime, and he was out for journalists from Euro TV or Antena C. That was not in the last century, it was not before 89. It was now" said former Chisinau mayor, Dorin Chirtoaca. Dorin Chirtoaca says the integrity filter proposed by Maia Sandu is an absurdity and proof that it does not have the power of a political leader. "When you feel that you as an opposition leader do not take any decisions, then you do not have the scale to get rid of the regime, to create the ability and the image of the winner, but you are hiding back as many issues. 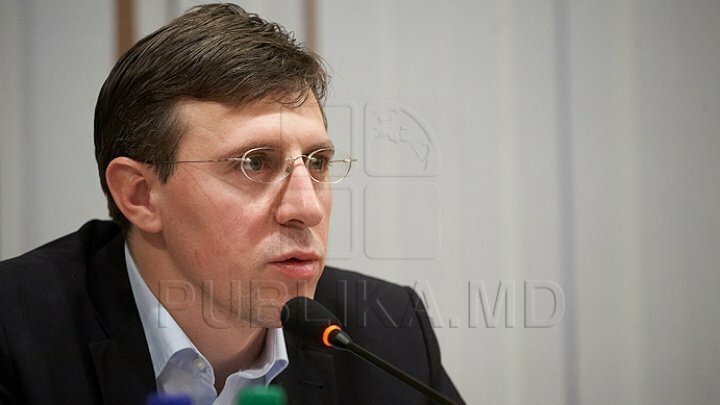 The maximum you can get is to become parliamentary opposition and to criticize the government for another four years", stressed Dorin Chirtoaca. PL vice-president said that Maia Sandu and Andrei Nastase can not reach the government without joining forces with other parties.